We are a kids club for children aged between 7 and 12, with the aim of giving them a safe environment to do activities in. The local churches started the club in the 1980’s as they wanted somewhere for the kids to go as they didn't have anywhere. 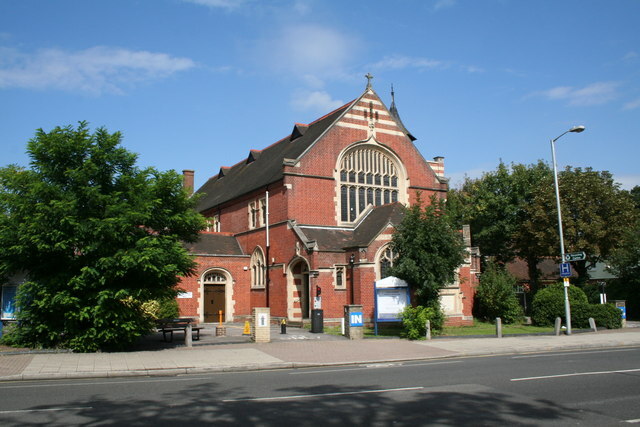 It was about 12 years ago they built the youth centre at the back of Purley United Reform Church, and some of the churches still support us. AimsTo offer through discussion, informal education and activities, ways of meeting their social, personal and spiritual needs, whilst helping them contact and develop relationships with young people in central Purley and throughout the borough. We also want to enable young people to learn more about themselves and of the society of which they are a part. What do you do?We offer a wide range of sports and activities such as cooking where the children can learn how to cook different foods from cakes to pizza. Arts and Crafts is offered too and we have computers. We also have a bouncy castle now and we give free fruit to the children every week and hold ‘boxercise’ and dancing classes to help the kids exercise. Anything else?We offer special events at no extra cost. We also go on trips. Plus we receive free fresh fruit kindly sponsored by Tesco. How can I join?By calling David Garfield on 07895 109974. The children only have to pay £1 to get in and then everything but the tuck shop inside is free. The Purley Youth Project is a charity that was set up by 6 local churches in the Purley and Kenley area in 1987. Each Church has at least one representative on the Purley Youth Project Management Committee. These members serve as charity Trustees. The Management Committee are responsible for the upkeep of the premises. PYP Junior Group however is supported entirely by the Purley Youth project Management Committee. We use the guidelines from the Youth Office for our trips and for additional training, but our funding comes from the sponsoring Churches and David Garfield’s approaches to various organisations including Peter Jones from Dragon’s Den. The aim of the junior club is to provide a safe environment for the children, where they can relax, play, socialise, develop their artistic side and learn how to become a responsible citizen, cooperating with each other and developing their social skills. PYP Juniors has a Management Team and we are in the process of starting a Children’s Council, which will enable the Young people to have more of an input. If you require any further information please do not hesitate to contact David Garfield on the number above.